This page shows the latest Kane and Finkel news and features for those working in and with pharma, biotech and healthcare. Can science be branded and sold? It must be packaged into a form that's accessible, compelling and distinctive. 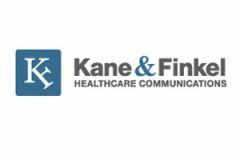 ... client services director, Europe at Kane &Finkel Healthcare Communications and can be reached at dknechtel@kaneandfinkel.com.